Air compressors are your friendly companion when it comes to your spray-painting, inflation, home repair, and carpentry needs. 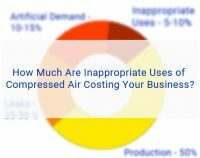 In industrial areas, they also depend on huge units of air compressors to facilitate other processes needed in their workplace. Every air compressor, regardless of the size, works because of its motor and Husky air compressor pump. These are vital parts of the compressor unit, which allow overall production of compressed air. If you are still planning to buy your own compressor unit, make sure to trust the Husky brand by Home Depot. Husky air compressors come in variety that will surely fit everyone’s needs. When buying your compressor, it is important that you consider first your working space. Smaller space would mean a portable compressor while a bigger space can accommodate stationary compressor. Other factors such as the motor and its corresponding horsepower (HP) should also be considered before making a purchase. The motor of every Husky compressor is responsible for supplying the electricity needed for air compression. The horsepower may vary from one model to another, which greatly depends on either commercial or industrial use. 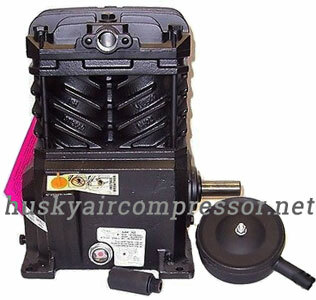 Lastly, the Husky compressor pumps should also be considered. Compressor pumps can be either single stage or two-stage, which again depends on the purpose. Normally, industrial pumps are two-stage and are oil-lubricated. For those who do not want to conduct regular maintenance, oil-free pumps are there for you. You will not also worry about replacing the drive belts because there are models that no longer need it. However, this type of air compressor pumps actually works for low-pressured air compressors. Husky compressor pumps are oil-lubricated and are usually made of aluminum and cast iron materials, making it pump durable. If your air compressor is oil-lubricated then you should get more info about Husky compressor oil. 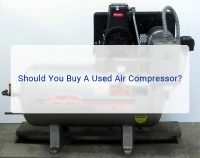 However, it is inevitable that one will still encounter problems regarding his/her air compressor. Before you jump into conclusions, it would be best if you are familiar with the parts of the air compressor pump to help you approach your troubleshooting needs. Basically, an air compressor pumps have electrical components and mechanical components. Since Husky compressors have different types and some are designed for industrial use, it would take too long to go through them one by one. The point of this is for you to know the basic electrical and mechanical components of a typical air compressor pumps by Husky and learn some more details for you to purchase them whenever needed. Filter element – Basically, filter elements get rid of dirt that may enter and possibly affect the efficiency of your air compressor unit. Gaskets – Gaskets are mechanical components used in compressor pumps to avoid leaks while air is being compressed. Capacitor – Running and starting capacitors are the electrical components of the Husky air pump. Valve Plate – Aside from gaskets, valve plates are also important in making up the entire air compressor unit. This should be tough enough to withstand compression. Pistons – Pistons also make up the mechanical part of the air compressor pump that is assembled together with a cylinder head and crankshaft. Fan – Air compressor fans work basically to cool down the system while the entire mechanical components are working. Air filter and cleaner element – The filter and cleaner elements are usually available in both local stores and online tool shops. This should also be replaced from time to time for maintenance. Pistons – This can also be bought in a piston kit however, it might be difficult to find one especially in online tool shops. Cylinder head – Cylinder heads are molded in shape of the piston rod to receive it while the piston moves. Fan – If you need fan replacement, you can purchase a Husky fan kit with bolt and washer included. Gasket – Different types of gasket used in assembly of compressor pump are gasket cylinder case, gasket cylinder, and head gasket. Tube fitting – Required in every pump to connect its parts without the risk of leakage. 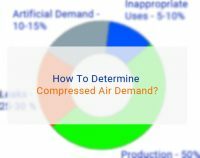 Now that you already gained information about the parts of a compressor pump, you can now assess the problem of your air compressor unit in much better way. Knowing which part has the faulty means you have saved yourself from costly machinery expenditure. Purchasing Husky air compressor pump parts can be made through the local store from where you have bought it. Just make sure that you know the model and spec of your compressor. If you think purchasing the parts online will be a better and more convenient option, you can also have it as your option. Always remember to inquire for the parts that match your air compressor’s model and see to it that they are authorized by the manufacturer to sell such. The most common problem about air compressors is that the compressor will slowly or does not pump at all. Before panic strikes, you should try first to unplug the air compressor and check for the cleanliness of air tank and valves. Sometimes, all you need is some quick cleanup to make sure it works again. Once you have them cleaned, assemble them back to the machine and check again if the machine works. However, in cases when the air compressor pump has burnt out, a do it yourself troubleshooting won’t do. This time, you should ask for professional help to have your Husky compressor pump replaced. Maintenance of your Husky compressor unit is important especially that installation and replacement of air compressor pumps by Husky can cost you a fortune too. Aside for that reason, the compressor pump is a vital part of the entire air compressor by Husky so you have to maintain it very well to ensure longer life span. I was looking for new compressor pump to replace it on my old Husky 8 gallon compressor. After some research I realized that sometimes it would be better buy brand new air compressor than replace its main parts. Anyway, thanks for your help.